We just watched the new Top Gear clip of Chris Harris racing The Stig in the Mercedes-AMG E63 S and BMW M5, respectively. While the race was obviously not the most accurate, as it was more done just for good television, it was fun nevertheless. Now, TG has released a short video of Harris talking to fellow TG editor Jack Rix about both cars and it’s a bit interesting. What’s interesting about this video is that it’s just a conversation. It’s not a review, nor is it done just for television. It’s simply Rix and Harris discussing both the AMG E63 S and BMW M5 while standing next to them. 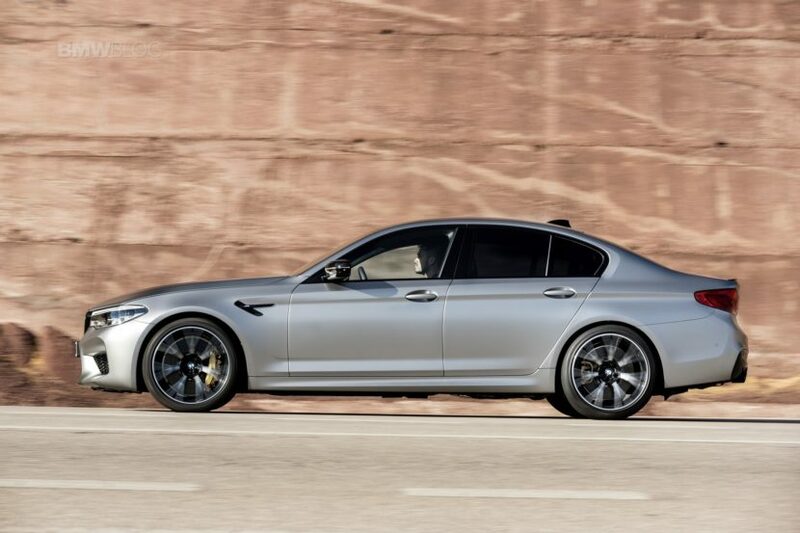 Though, The Stig does take the M5 away while they’re talking. In the video, Rix is basically asking Harris a bunch of questions about both cars and it’s obvious that he has a preference for one of the two, even though he thinks both are excellent. One of the questions Rix asks his is whether one feels faster than the other, acceleration-wise. His response is that both cars feel absurdly fast and much faster than massive four door cars have the right to be. And that’s important, as it really doesn’t matter if one car is a tenth or two quicker — they’re both stupid-fast. Though, Harris — a self-proclaimed BMW M5-man and someone that owns an E28 M5 — does say he likes the AMG just a bit more. It has a bit more character to him and is a bit edgier. He says that the M5 is a bit more comfortable and a bit quieter, so it might be the better daily driver, but it’s the AMG he’d rather drive. It’s hard to argue that, as the AMG is louder, more brash and a bit more angry. So if that’s what you’re looking for, it’s going to have the edge. Oh, and it’s available as a wagon, which seals the deal.